Eli Broad College of Business undergraduate programs across the board ranked among the nation’s best in U.S. News and World Report’s 2019 Best Colleges rankings of undergraduate business programs, released Monday, Sept. 10. Overall, the Broad College ranked 11th nationally among such programs at public universities, up three spots from the previous year and the college’s best finish in the past three years. When looking at both public and private schools, the college was 21st overall (also up three spots). The rankings are based on the judgments of deans and senior faculty at peer schools. “Word is getting out to other deans across the United States that we’re making some very positive changes here at the Broad College. 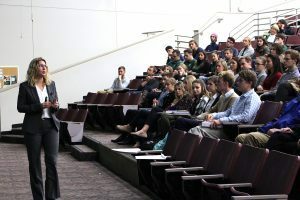 It’s very nice to see it’s being well-received,” said Kathy Petroni, the associate dean for undergraduate programs and Deloitte/Michael Licata Professor of Accounting. 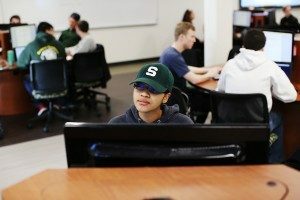 While pleased with the ranking, Petroni said it’s just one of many metrics – including the offered curriculum, campus environment and fit, and other university offerings – where the Broad College and Michigan State University are at the top of their tiers. For the eighth year in a row, the Broad College offers the nation’s best undergraduate education (both public and private) in supply chain management and logistics. In the 17 years in which that area of study has been ranked, the Broad College has never ranked lower than second. It was one of two areas of study in which the Broad College ranked in the top 10 among all universities nationwide, joining production and operation management, which ranked seventh. 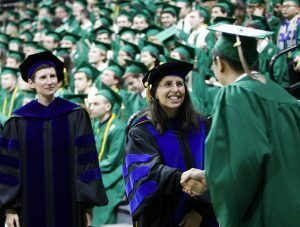 Other highly-ranked subject areas included management (ranked 14th nationally, and up eight spots from the prior year) and accounting (ranked 19th, and up three spots). Petroni said those are strong numbers for such universal offerings. Management information systems rankings included the Broad College for the first time in the latest tally. The college finished 20th nationally. Other ranked areas includes international business (28th overall) and marketing (32nd). The complete business school rankings are available at the U.S. News home page, but only limited information is available without a paid subscription.